Next time you’re having a bad day, call up one of the top-notch pizza shops near your community of North Austin apartments. There are a lot to choose from, and they all have the cheesy, saucy pizza that you crave when you come home after a long day. Whether you’re pairing your pizza with breadsticks or dipping it in ranch, the pies on the list below should help you overcome the stresseses of a less-than-ideal day at work. The nice thing about living in North Austin is that there’s tons of variety when it comes to the pizza joints in the area. You’ve got your old-school pizza shops that serve slices that are heavy on grease, but you’ve also got your modern pizza shops that serve things like gluten-free pizza with low-carb crusts. Whatever you’re into, you’ll be able to find it on the list below. Now that we’ve gotten the intro out of the way, let’s get right to the list of tips! When you’re done reading through this week’s post, please feel free to share the blog with your friends and neighbors at your community of new apartments in Austin! The cool thing about Flaming Pizza is that you get to design a pizza that’s all your own. It’s kind of like Subway or Chipotle in that sense. If you feel like that’s too much pressure, you can choose from one of the specialty pizzas on the menu. An 8” pizza is enough for one hungry person, and a 12” pizza is more than enough. Keep that in mind when you’re ordering! If your ideal pizza has a thick crust that just begs to be dipped in some sauce, you’ll love the ‘za at Marco’s. We love this place because the pizza looks picture perfect when you open the box. The toppings are absolutely massive, so be sure to order something with meat on it. You can also get cheesy bread with your pizza, and it’s about as big as the pizza itself. The first thing we have to tell you about i Fratelli Pizza North is that they offer free delivery. 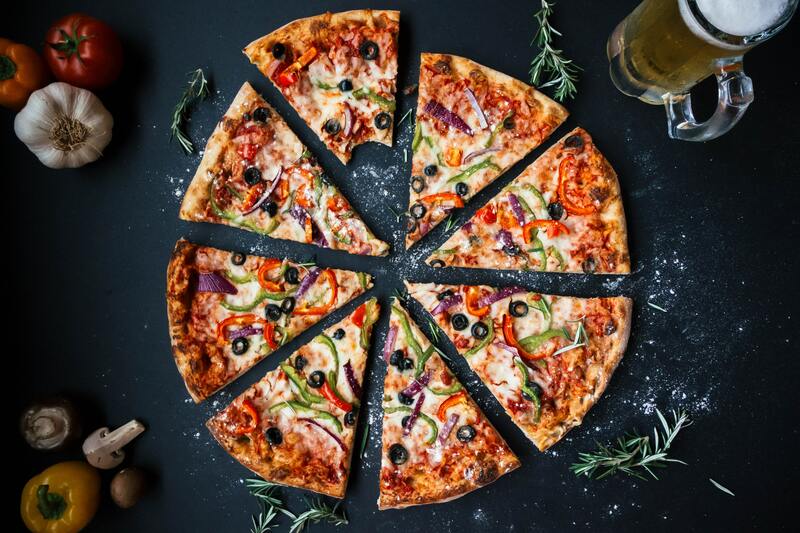 That alone should be enough to get you to order a pizza from i Fratelli Pizza North, but there are plenty of other reasons. The pizzas are made with incredibly fresh ingredients and the service is about as fast as it gets. Need more reasons to check this place out? Taste the pizza for yourself! That concludes our list of the best pizza joints in the neighborhood around your Urban North apartments! We’d like to use this space to thank those of you who’ve been able to come back month after month to read all the latest blogs from Urban North apartments. If we’ve done our jobs this week, you should have a brand new list of pizza joints to try next time you get a craving for top-notch ‘za! Our next blog will go live in the first week of November! If you feel like you got something out of this week’s blog and you’d like to be among the first to read the next one, we recommend that you bookmark our blog page. That way, you’ll be able to easily check back when our next post goes up on the website. While you wait for that post to go live, you can stay informed about everything happening at Urban North by following us on social media. After all, there’s no easier way to stay informed about upcoming resident events and promotions happening at your favorite community of apartments on 183 North.